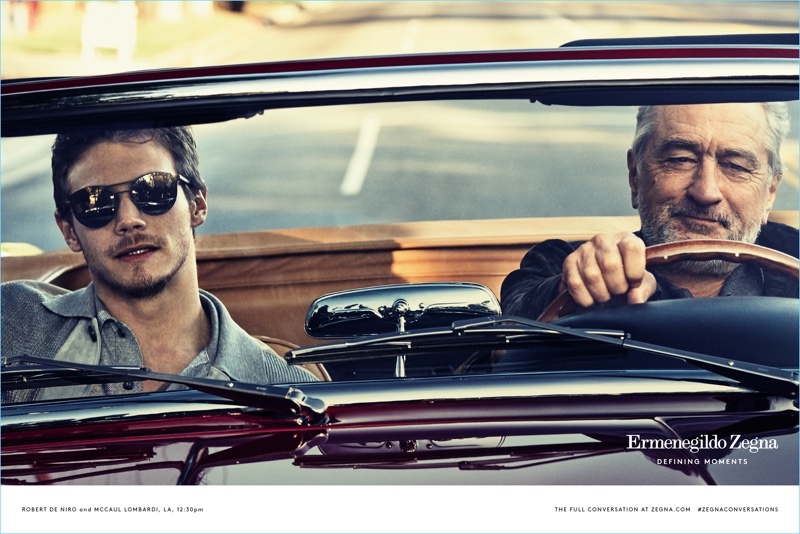 Going for a drive, McCaul Lombardi and Robert De Niro star in Ermenegildo Zegna's Defining Moments campaign. 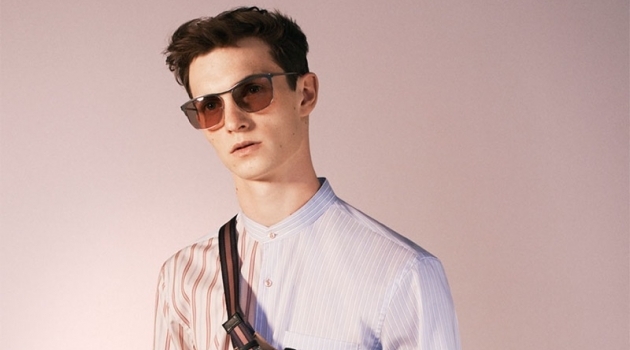 Ermenegildo Zegna goes in a new direction for its spring-summer 2017 advertisement. 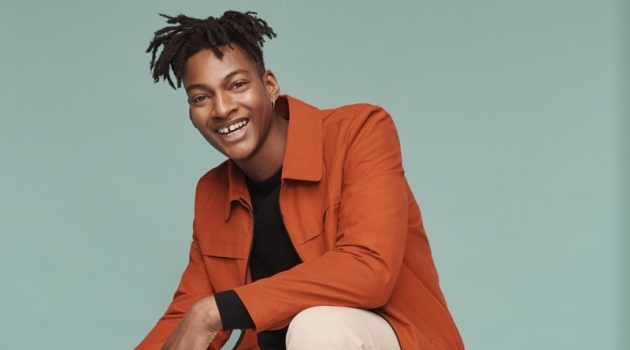 The Italian fashion house launches its Defining Moments campaign. Actor Robert De Niro fronts the outing, acting as a mentor to McCaul Lombardi. The pair connects in Los Angeles, appearing before the lens of photographer Francesco Carrozzini. 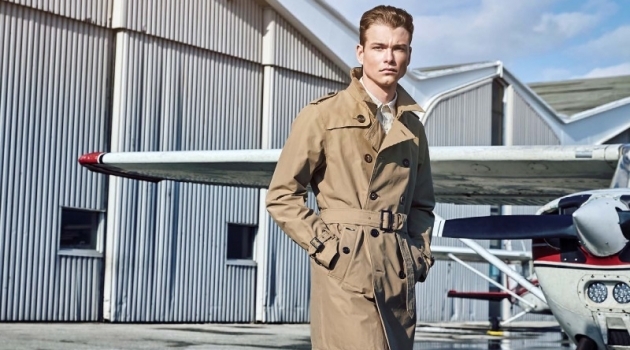 Discussing the beginning of an on-going series, Zegna shares, "Although born of two different generations, both men have an affinity that transcends age. They share a vocation, a heritage–both are Italian-American as well as a natural elegance of style and boldness of character." 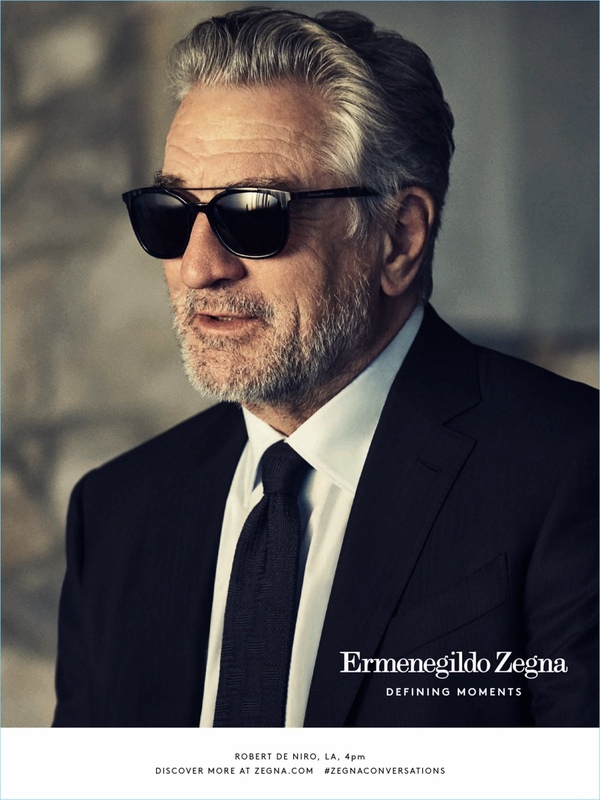 Robert De Niro is a cool vision in a traditional black suit and sunglasses for Ermenegildo Zegna's Defining Moments campaign. 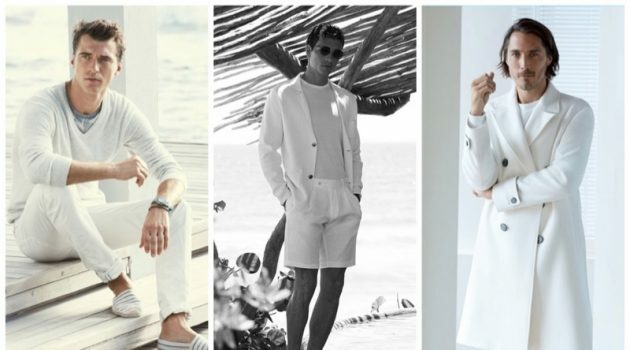 Actors McCaul Lombardi and Robert De Niro enjoy a chat poolside for Ermenegildo Zegna's Defining Moments campaign. 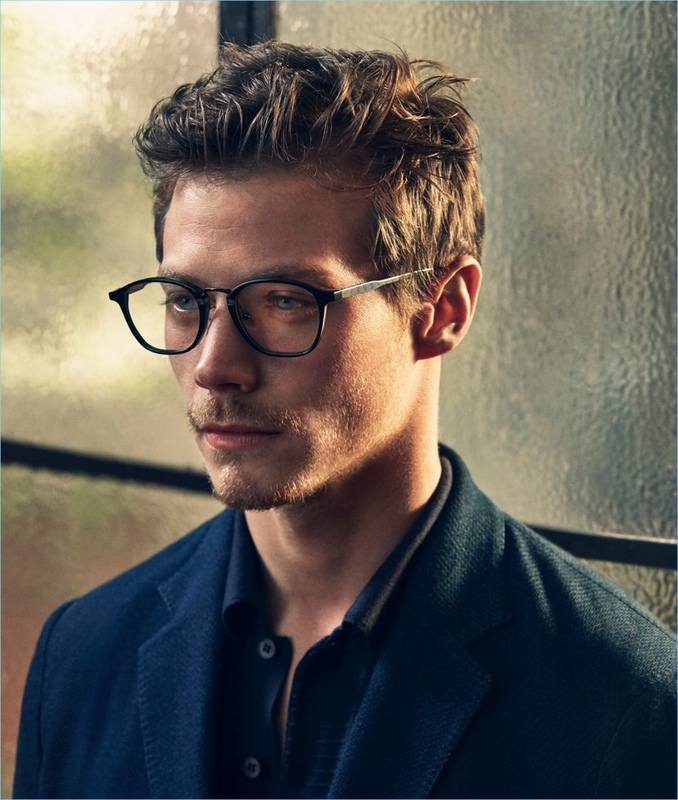 A smart vision, McCaul Lombardi dons optical frames from Ermenegildo Zegna for the brand's Defining Moments campaign. 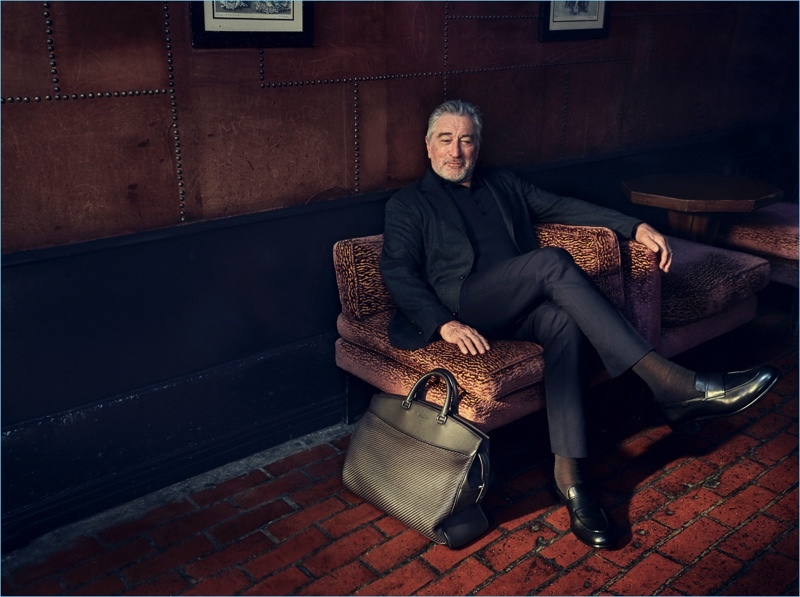 Actor Robert De Niro retreats indoors for a sartorial moment in Ermenegildo Zegna tailoring. McCaul Lombardi and Robert De Niro share a moment while shooting Ermenegildo Zegna's Defining Moments campaign. 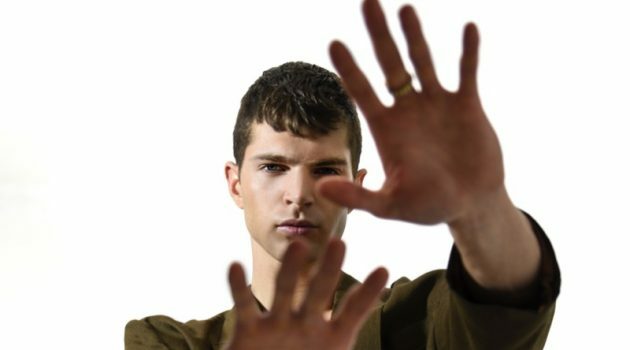 Behind the Scenes: Francesco Carrozzini photographs McCaul Lombardi for Ermenegildo Zegna's Defining Moments campaign.